Hello paper crafters! 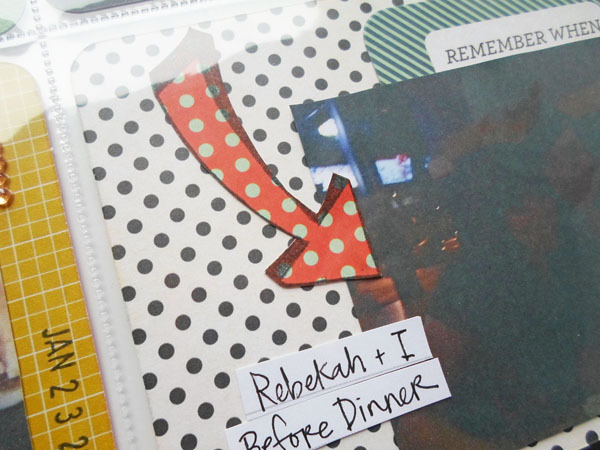 Here at Creations Galore we're in love with the Albums Made Easy and Project Life systems! You can see a collection of our AME posts by clicking here. 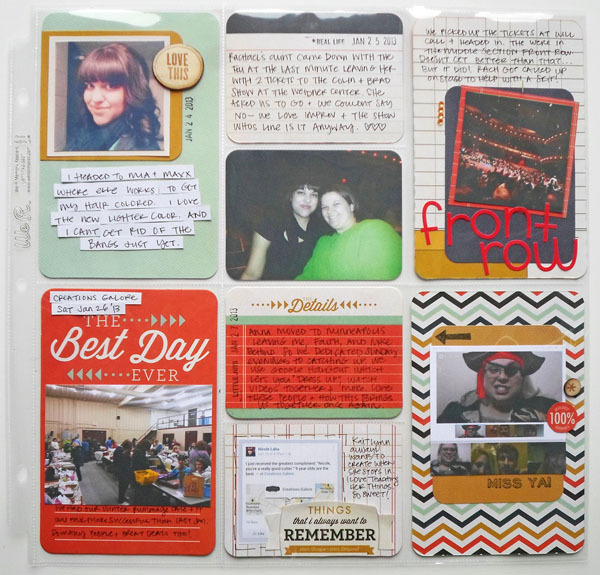 For this style of scrapbooking, we used a two page spread to document one week of the year - Resulting in 52 spreads of precious pictures and memorabilia. You can find the left side pocket protector here and the right side pocket protector here. This system makes it so easy to mix and match all the different protectors for a custom album. All cards and pockets are 3x4 and 4x6. 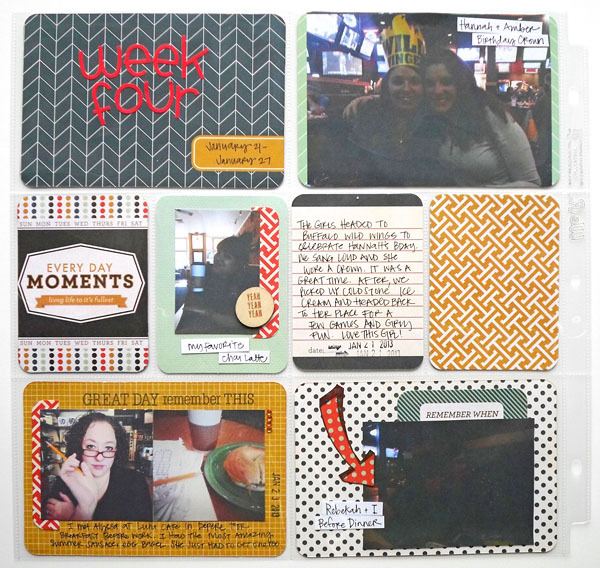 Inside each pocket is a journaling card, grid card, or cardstock card from the Webster collection by We R Memory Keepers. The collection has more cards than you'll need to fill all of the pockets; therefore, I cut up quite a few for this layout to use as tabs and photo mattes. Most of the journaling is handwritten, but I also added in a few dates and words with stamps. The arrow was stamped onto a patterned card, cut out, and adhered to the page to highlight a picture. In addition to the WRMK system, I added some Doodlebug sticker letters, leftover bling, and Studio Calico wood veneers. I'd love to show you many more techniques, as well as help you create a customized album that fits your personality and life! Join me THIS SATURDAY, August 3rd at 10:00 AM for a Albums Made Easy/Project Life Workshop. The class is just $20 - All products (and an amazing class kit full of goodies) are included. You'll even receive a 15% discount the day of the class. Learn more and register by clicking this link.